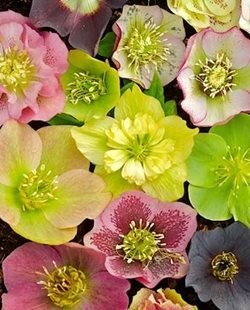 For these beautifully planted mounds to thrive, the sloping sides must rise at a very gentle rate. A long, low berm was used here to screen off the unattractive footing of the wall behind. 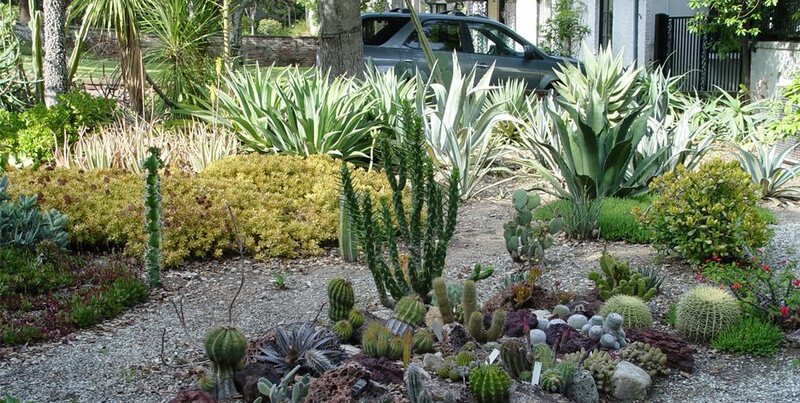 This slight rise was created to keep the moisture sensitive crowns of these cacti above the surrounding soil, and where drainage is poor, mounding like this becomes a problem solver for raising the root zone above hardpan. 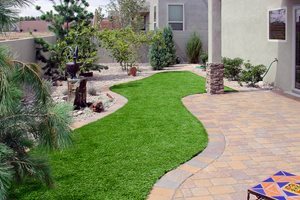 This designer chose to depress walkways and raise the lawn in slight mounding in order to foil the long narrow look of this yard. In flat farmland, this landscape depends on a large mound on the right to raise the water source for a waterfall just out of frame. 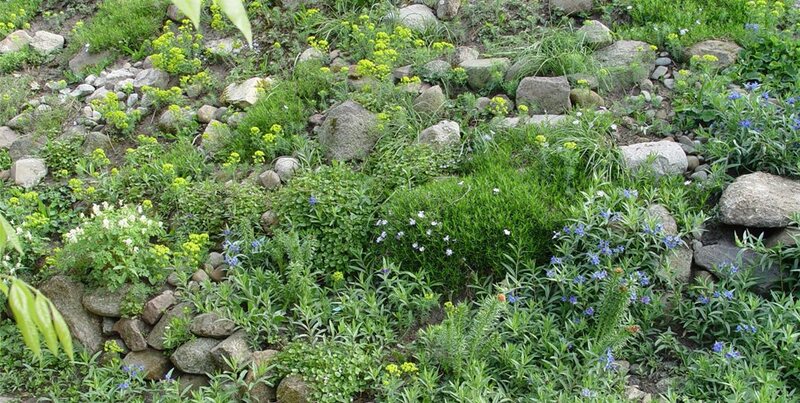 This steeper than average berm would fail to support plants were it not stabilized by the use of rock and perennials to keep soil in place. 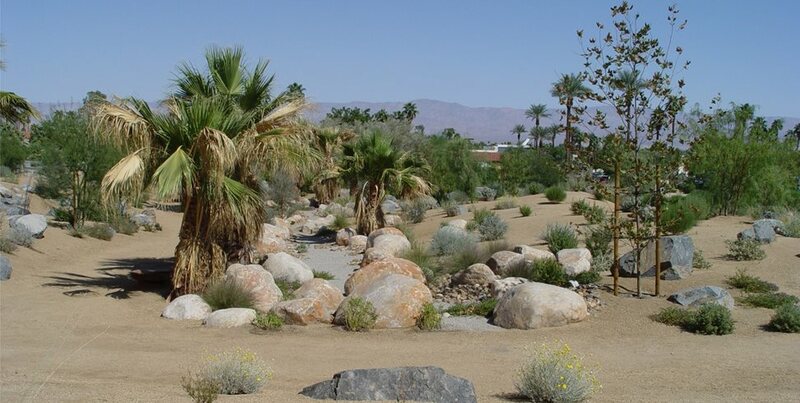 In desert landscaping it's easy to see how the contractor graded mounds and earthworks to provide enhanced drainage and add interest to an otherwise flat sites. The term earthworks is collectively used to describe mounded soil used for practical or aesthetic purposes in a landscape. Berms are often linear in nature, much like a river levee, though they may undulate and vary in height. A mound is more like an island rising from the ocean. Mounds tend to be low and wide to facilitate growing plants on top. 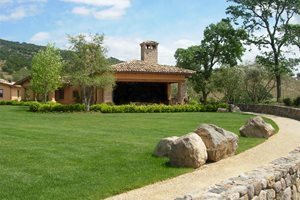 Before you decide to integrate earthworks into your landscape, be sure you hire a landscape architect or civil engineer to create a detailed grading and drainage plan. Golf courses are designed by earthwork masters. A beautiful rolling course features bunkers along the edges of the fairways and low berms around each hole. 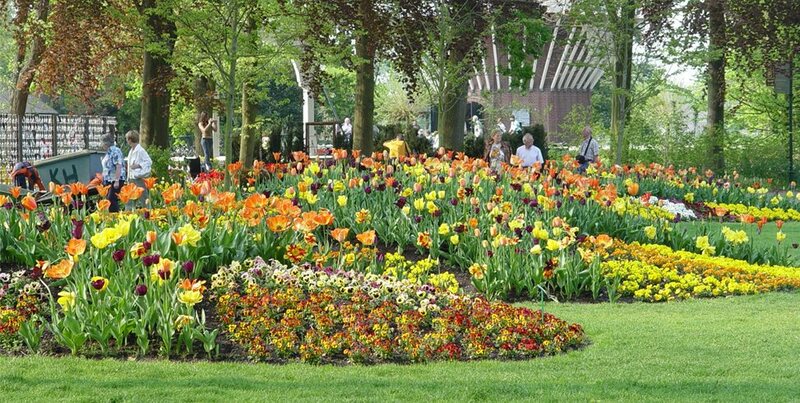 These are the best examples to copy when creating a berm or mound for a new landscape's contours. Because golf course berms are covered in turf, they must be graded to ensure turf grass will grow well upon its entire surface. Maintenance equipment must be able to easily manage the turf as well. 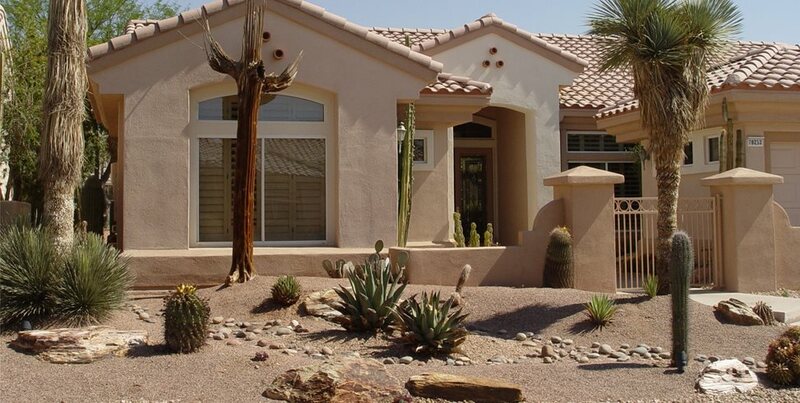 One of the most common mistakes in landscaping is creating earthworks that look contrived. 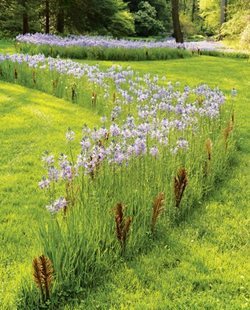 Rigid, non-sinuous shapes stand out like a sore thumb in the midst of a larger lawn or garden. Berms too large cause many physical problems while those too small are clearly out of place. Your designer knows this and will consider the following criteria for a successful grading plan. 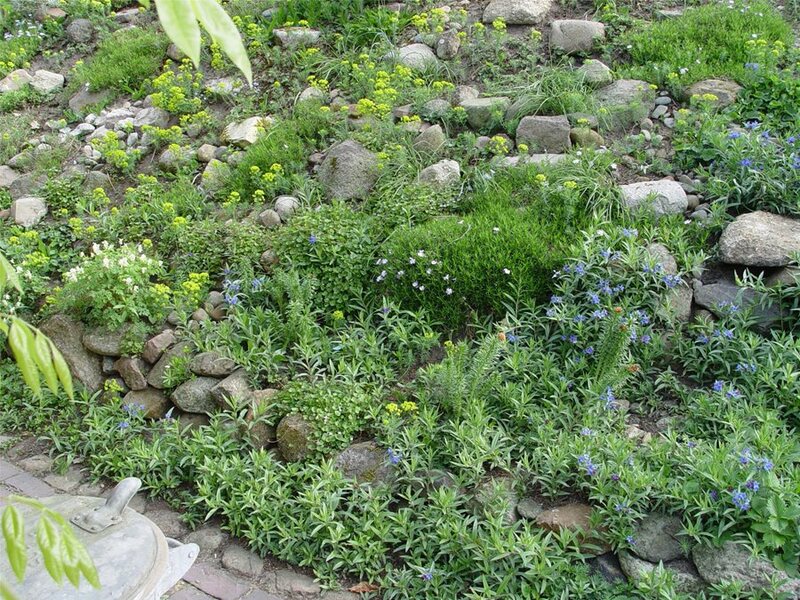 The slope of a berm should be gentle if it is to support plants and avoid problems with erosion. Height dictates the scale of the earthwork. You must calculate the horizontal distance up one side to reach the high point, then add the same distance to the other side to get back down to grade again. Added to this is the area at the top of the berm or mound that is not part of either slope. This three part calculation determines whether or not a berm of a designated height would fit in the space provided. It is easy to underestimate how much fill is required to create earthworks because it loses volume when sufficiently compacted to ensure cohesiveness. The cost of trucking clean fill can be prohibitive. This is why most berms and mounds are far more cost effective on projects that generate fill onsite. 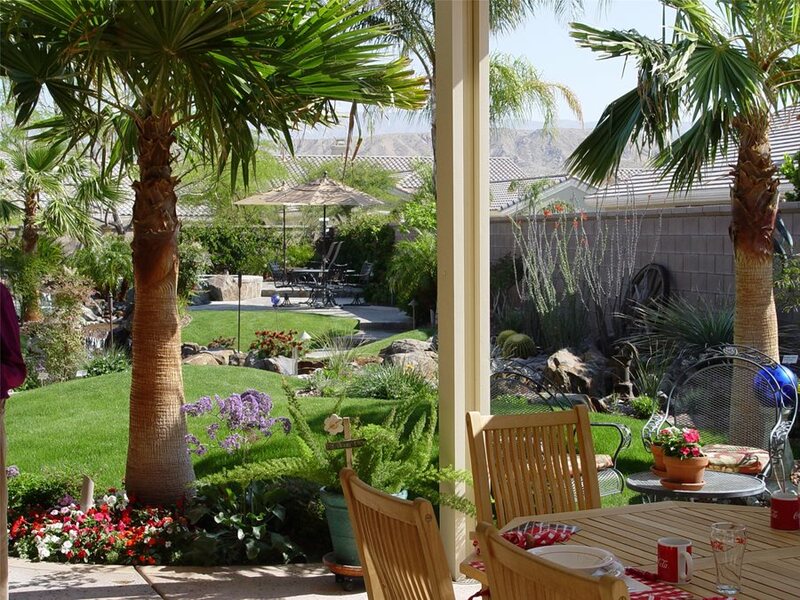 The most common source is the excavation of building foundations, swimming pool or basement. 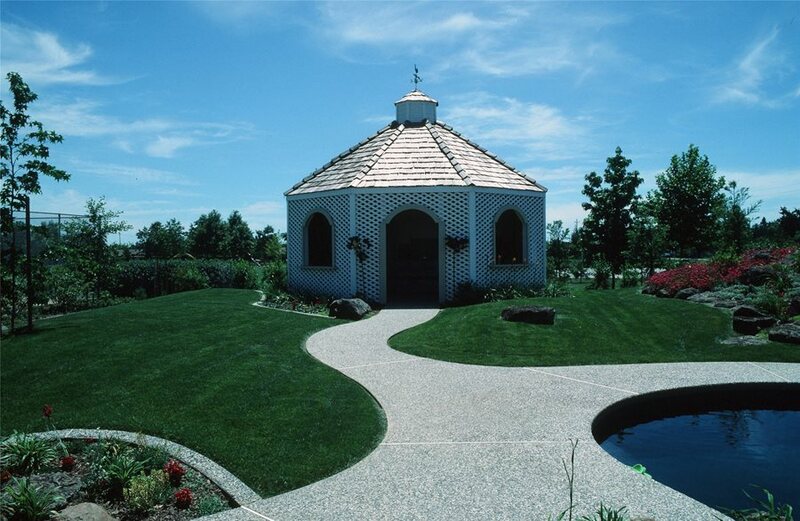 Pro Tip: Where topsoil is a limited commodity, a mound or berm can be created with less fertile soil known as substrate such as rubble or gravel. A layer of clay is laid upon the substrate, and then it's all topped with a thick layer of topsoil. Pro Tip: For stable berms and mounds, soil must be compacted to about 95%. Mounds or berms must always be fully integrated with the grading and drainage plan for a homesite. These earthworks often exist to solve problems and protect homes during high water flood events. Berms are particularly important when used to force water to flow away from the homesite or toward key points just like a miniature levee. 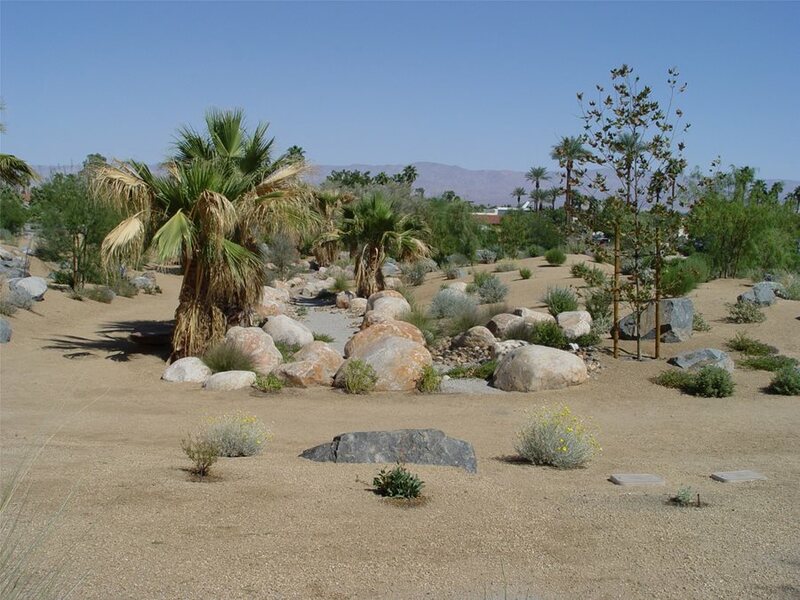 They are valuable where a homesite may sit adjacent to a drainage canal, ditch, dry wash, creek or river. 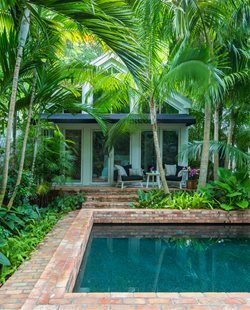 Be particularly attentive to this when berms are added to an existing landscape as part of a remodel to avoid interference with the existing drainage system. Pro Tip: When grading mounds near existing trees and shrubs, never alter the grade nor disturb soil within a tree's drip line. Also be sure the berm will not interfere with water that has previously supported the life and health of the tree. A berm should be 4 to 6 times longer than it is wide. Maximum berm height: 18 to 24 inches. Create wide sweeping curves and graceful transitions. If you return to the golf course model you'll see that the bunkers along the edge of a fairway flow gracefully beneath their cover of turf grass. They are all positioned relative to one another. Some of these can be long berms that may be relatively straight or undulate. When used to solve problems, this shape is directly related to prevailing winds, southern exposures and undesirable views. Non-linear mounds are often oval or in a kidney shape so that the forms can flow like a natural landform. In general, graded mounds used site-wide should be similar in scale and height to better integrate them into the overall character of the landscape. Low and wide on top is the mantra that ensures successful planting and irrigation. Pro Tip: When grading for aesthetics, it is always best to err on the side of a gentle angle of repose that does not appear abrupt, but finish graded to gracefully transition seamlessly into the surrounding land form. The angle of repose is nothing more than the degree slope of a mound's edges. 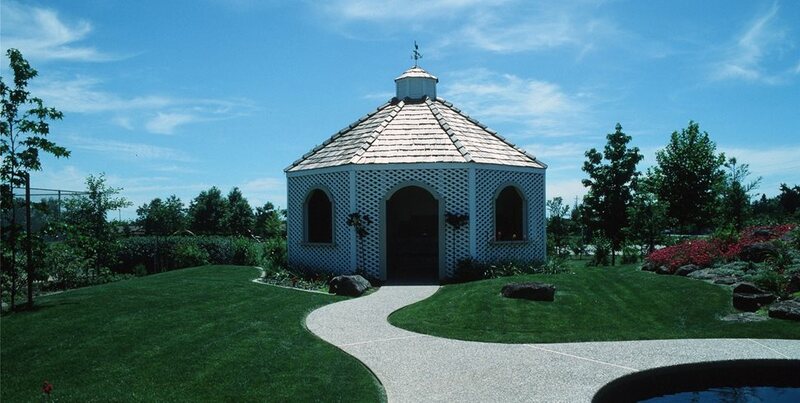 It is considered the same way as a roof, which is expressed as 4:12, which is four inches of rise over twelve inches of run. With mounds planted in turf grass, the maximum slope ratio is expressed in feet such as1:4, which means the slope goes up one foot over a four foot span. It is far better to strive for 1:5 or even less to ensure turf grass maintenance equipment can function safely, and the blades cut without scalping. Pro Tip: Be doubly cautious about the angle of repose if you're planning to use ground bark or gravel mulch. If too steep it's impossible to keep bulk materials from traveling downhill over time, which results in a bald top and accumulation at the toe of the slope. 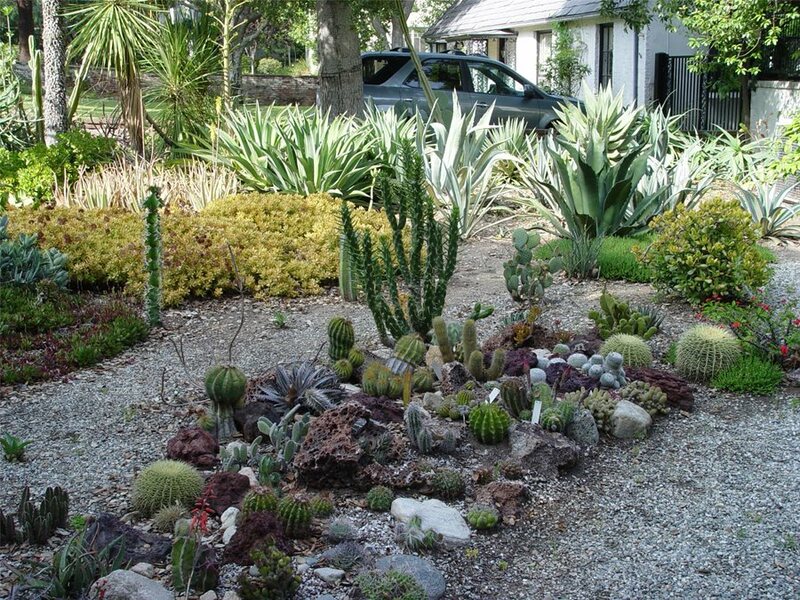 The most common mistake is making mounds and berms too steep to support plants. Overly steep sides cause water to run off before it can percolate into the soil. 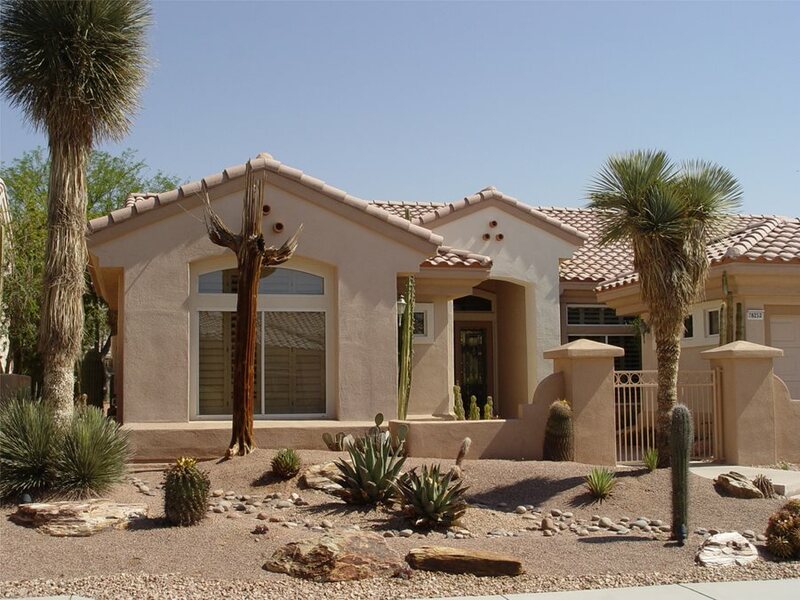 Insufficient saturation means the root ball easily dries out and is nearly impossible to re-wet again, particularly in hot, dry climates. 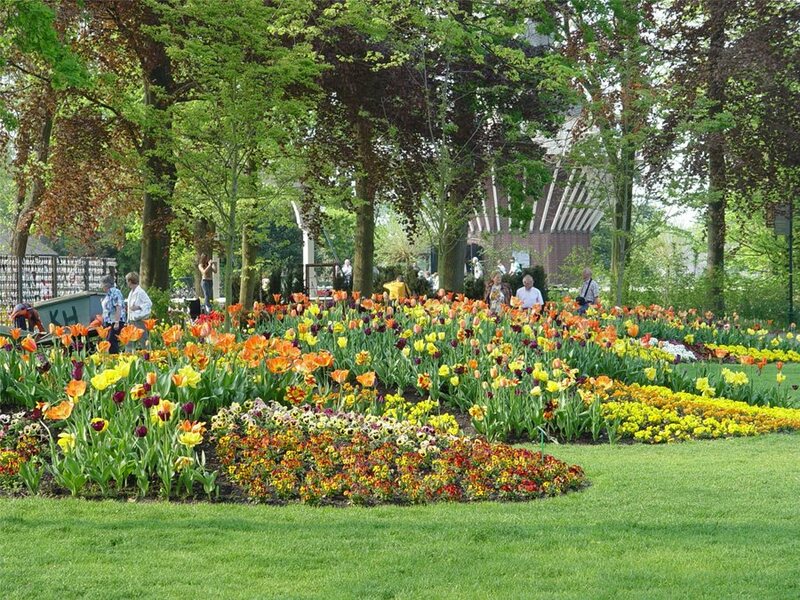 Mounds planted with trees, shrubs and perennials should be graded as gently as possible, without exceeding a 1:4 ratio. Pro Tip: To make a berm appear more natural in the landscape, vary the slope ratio at different points around the edge of the earthwork. 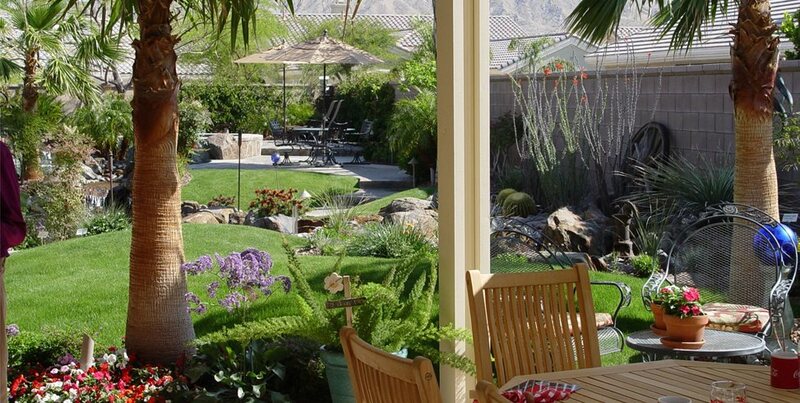 Experienced landscapers know exactly how to shape a mound so it looks attractive. In nature, very little is symmetrical, so creating mounds of irregular shape is always preferable. The top of the mound will have a high point, which is best set at one end or the other, and never ever in the center. Sculpt the high point to a flat top so that water applied there can soak in because all excess run off gathers at the toe in a perennial mud hole.